Blue flip-top with smooth, slightly tapered sides. 12/case and includes swing tops. 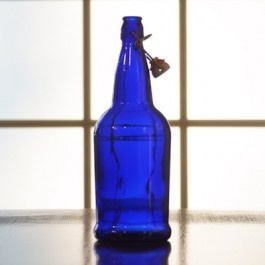 These bottles are a thicker gauge glass and can withstand higher pressures than standard bottles. They can be capped with a swing top or a standard crown cap.